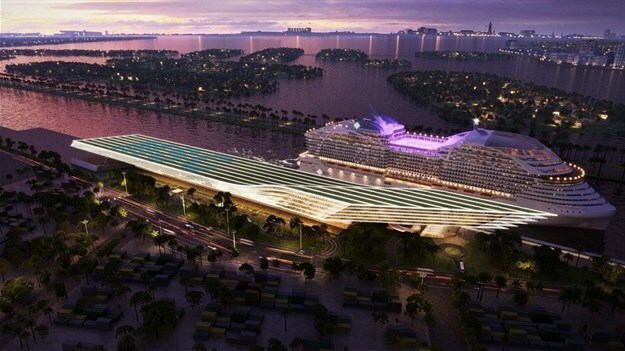 MSC Cruises has revealed details of a new innovative cruise terminal at PortMiami that will support its expanding presence in North America and in the Caribbean in particular. As per the terms of the agreement, approved by the Miami-Dade Board of County Commissioners, MSC Cruises will design, construct, operate and maintain a large building that hosts two cruise terminals (AA and AAA) as well as two berths. Pierfrancesco Vago, MSC Cruises Executive Chairman, said: "The new terminal will ensure that we can provide our guests with an enhanced end-to-end high-quality experience while both embarking and disembarking, thus adding to their ability to fully enjoy every moment of their vacation." Work on the new terminals is due to commence in early 2020.